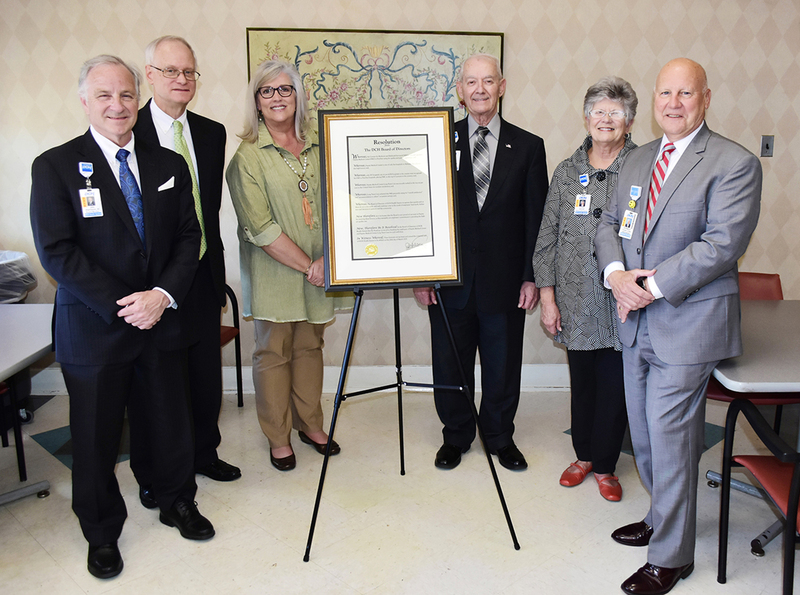 Members of the FMC and DCH Boards presented a resolution to the Fayette Medical Center’s staff and honored the employees with a reception. Shown from left are: Jim Harrison, John Mize, Mary Ann Hardin, Judge Joseph Colquitt, Dr. Linda Olivet and FMC Administrator Donald Jones. The Fayette Medical Center (FMC) and the FMC Long-Term Care facility have been recognized as among the top healthcare facilities in the nation. FMC achieved a five-star rating from the Center for Medicare and Medicaid Services, the federal agency that administrates Medicare. FMC is one of only five hospitals in Alabama and one of 293 nationwide to receive this rating, placing FMC in the top 6.5 percent of the nation’s 4,500 hospitals.